US President Barack Obama has been pushing China to increase the value of its currency as he hosts his counterpart Hu Jintao on a four-day visit to the US. The thorny subject of human rights has also been raised. ­The main dispute between the US and China over the yuan, which America says has been undervalued in order to help Chinese exporters, is far from resolved. Speaking at a joint news conference, Obama called on China to increase the flexibility of its currency. He added that the yuan "remains undervalued,” which makes Chinese imports cheaper in the US and other countries and US goods more expensive in China. 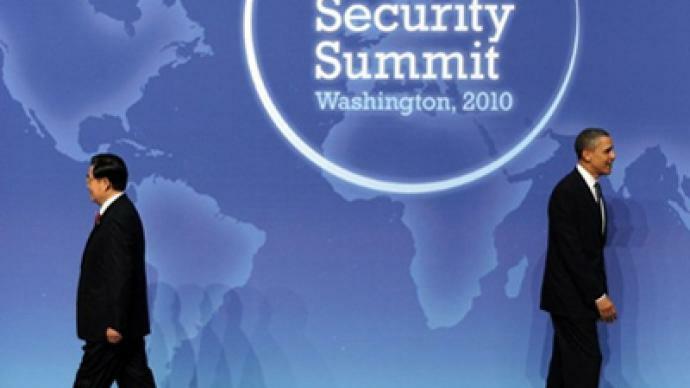 Obama added that he wanted to "ensure that no nation has an undue economic advantage." Obama said that the US exports some $100 billion a year to China in goods and services, supporting nearly a half a million US jobs. He noted that it is important for the two nations to cooperate while remaining competitive. The US president also noted that the new deals with China will help create up to 235,000 US jobs. The two leaders also discussed human rights, with Hu saying China is willing to continue a conversation on the basis of mutual respect and non-interference in its internal affairs. On Wednesday, Obama and First Lady Michelle Obama held a state dinner for Hu. The event welcomed a mix of prominent Chinese- Americans, Hollywood stars and business leaders. According to economist Isaac Cohen, now the two countries are so intertwined that neither can make a major decision unilaterally without affecting itself, and that is something President Obama has to understand. The recent events over the last year suggest that China is not interested in strategic partnership with the US but wants to establish some priorities of its own, particularly in the region around its borders, believes Simon Tisdall, an Assistant Editor and foreign affairs columnist at Britain's Guardian newspaper. During his visit to Beijing in 2009, Barack Obama did not achieve that much, so now it is taking a lot of effort to persuade the American public and the American Congress that he is sticking up to China. There is a shopping list of demands and requests on security, economy and human rights that has been prepared by the Americans but it seems “to matter more to President Obama than to President Hu”. The historical context reflects the decline of American power by many measures and the rising of Chinese-Asian power, Simon Tisdall said. Despite statements of US Secretary of State Hillary Clinton that this summit is to bring substantial achievements, Simon Tisdall is doubtful that much is going to change overnight in terms of Chinese currency exchange policy and the Chinese are not going to change their minds towards their jailed dissidents. 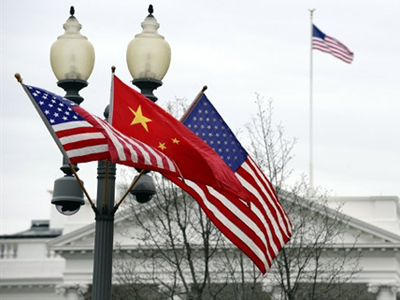 The American press believes Obama is going to be much tougher this time, but this lavish perception of the US president pushing some of these issues, particularly access to the Chinese market, is highly questionable – in the short term. Another big issue is national currencies. The Central Bank of China has been arguing actually in favor of appreciation of the Yuan because they are worried about inflation which is the real problem of the country’s overheated economy. There are at least two schools of thought that suggest the way of economic growth in China. One insists on further exporting at low prices as much as they can, another is warning of a big inflation problem which can upset all economic and budget forecasting. “Some Chinese officials might agree with the Americans that they need more balanced currency rates across the world, but policy makers in Beijing are divided, as they are in Washington, about exactly how you do that, how quickly you do that,” Tisdall revealed. Anyway, the solution for the Americans lies at home rather than blaming that sort of thing on the Chinese, he said. According to Andrey Korneev, a Deputy Director of the Institute of Asian and African Studies in Moscow, the priority for the two sides is to try to reload the relationships between the two countries. “The common opinion is that the year 2010 was not very successful for the bilateral relationships. So, now it’s the time to mend fences and to tackle some of the most difficult issues in the US-Sino relationships,” he told RT. “Mr. Obama is now in the pre-election period, and he has to score some important points in dealing with President Hu. Probably one of the most important issues… it’s the Chinese currency. And if there will be progress with this issue, it will be beneficial for Obama… so that Obama could say to the American people that he has got something from the Chinese side on this very important issue,” Mr. Korneev concluded. 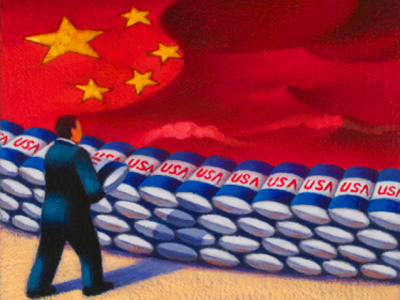 America has an extraordinary large deficit and debt, much of which belongs to China, so Americans must get their house in order – something the China has already hinted they should do at the last G8 summit, reminded Simon Tisdall. As for the constant human rights critics of China from the West – it has never brought any positive results and will always be counterproductive, shared Tisdall. According to an economist from New School University, Max Fraad Wolff, Hu Jintao’s visit to the United States has a heavy PR element. ­The epicenter of global economic power has been shifting toward China, says economist Sarah Anderson from the Institute for Policy Studies in Washington. 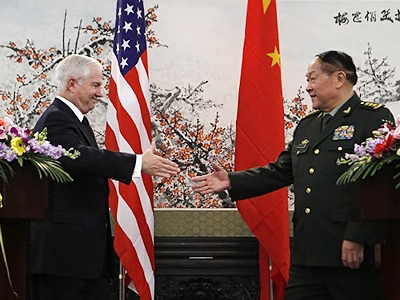 China and America: A second Cold War?